In his 36 years of commercial real estate brokerage, Mr. Kaye has participated in the sale of over 10 million square feet of office and industrial space, building relationships with both private and institutional investors. He has been involved in transactions throughout the Mid-Atlantic regions, with his primary focus being the Washington, DC and metropolitan area. 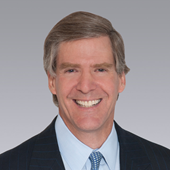 Prior to joining Colliers International in November 2013, Bill worked at CBRE (6 years), Trammell Crow Company (10 years), and a local Washington, DC firm called Barnes, Morris & Pardoe (17 years). Bill holds a BA from the University of Virginia and is a member of the Greater Washington Commercial Association of Realtors. He was recognized nationally as Trammell Crow Company’s Brokerage Top Producer from 1999 to 2006 and awarded the GWCAR’s Northern Virginia Sale of the Year in 2002. 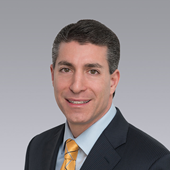 David Gast is an Executive Vice President with Colliers International specializing in the sale of office, industrial and flex property throughout Northern Virginia. Having spent 25 years in the commercial real estate industry, Mr. Gast draws from a broad range of experiences including Agency Leasing, Tenant Representation, Investment Sales, and Property Development. His extensive leasing background allows Mr. Gast to approach investment sales from an understanding of how an owner can create value during the life cycle of an asset. Mr. Gast has closed over 740 transactions and possesses a unique ability to structure creative deals to help further the interests of his clients. Prior to Colliers International, David worked with CBRE and Cambridge Property Group, LP, where he worked with institutional investors on their Northern Virginia assets. Before his career in commercial real estate, David was licensed by the Securities and Exchange Commission and worked in the sale of institutional bonds to commercial banks.